In 2017, activities at the Science Council for Global Initiatives (SCGI) reflected our organization’s national and international credibility as we were invited to contribute to conferences and other forums across the country and around the world. Our primary focus has continued to be the promotion of advanced nuclear power systems and international cooperation on energy and climate issues. SCGI participated in two different conferences hosted by the U.S. Nuclear Infrastructure Council (USNIC), one at Argonne National Laboratory (ANL) and the other in Washington DC. USN IC is the country’s leading nuclear business consortium, composed of nearly 100 businesses involved in nuclear power systems worldwide. SCGI president, Tom Blees, presented an overview of molten salt reactor systems at ANL and participated in a panel session on the future of nuclear power at the DC event. The presentation at ANL evolved into a major topic of discussion at the London-based Nuclear Energy Insider’s annual international small modular reactor symposium that took place in Atlanta in March. The concepts were discussed there privately with Representatives from Congress and the Department of Energy and, at the request of one of the Congressional representatives, written up for wider distribution. Prominent nuclear engineers from both national labs and industry reviewed and contributed to this report prior to sending it to parties on Capitol Hill and in the DOE. It has also been posted on our website here to encourage future discussion. The U.S. chapter of Environmentalists for Nuclear Power asked for permission to post it on their website, and followed up with an invitation for Tom to join their international board of advisors. Conversations with those who promote renewable energy can become heated when advocates for renewables claim that they can readily provide 100% of global energy demand—the all-renewables debate. This past year, several members of SCGI were involved in this debate. In April, Tom was in Moscow for the annual Global Energy Prize committee deliberations, where, for the first time, a solar technology developer won the coveted prize. 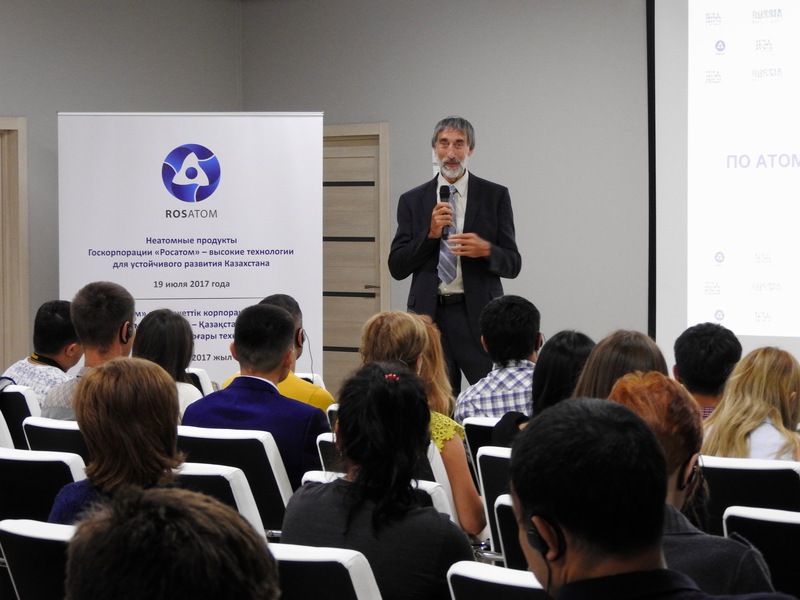 When the winner, Michael Grätzel, came to Saint Petersburg in June to accept the prize, Tom talked with him about the all-renewables debate. As one of the world’s leading solar researchers, Michael was disarmingly honest about the necessity of having other energy sources that are clean but not categorized as “renewable”, such as nuclear energy. The all-renewables debate also received some much-needed clarification this year with the publication of Burden of Proof, available here, and Evaluation of a proposal for reliable low-cost grid power with 100% wind, water, and solar, available here. Both are highly recommended. SCGI is not opposed to renewable energy. SCGI does, however, agree with our late advisor David MacKay’s admonition to be pro-arithmetic. His excellent book, Sustainable Energy Without the Hot Air, can be downloaded here. SCGI continues to be a key player in facilitating international cooperation in the development of nuclear energy. Professional connections fostered by our international conference at UC Berkeley in 2012 have led to numerous high-level meetings and projects in Russia, China, Japan, South Korea, Great Britain, Australia, France, Indonesia, and South Africa. Despite current diplomatic tensions, these connections have contributed to a widely held belief that the development of nuclear energy should continue independent of international politics. Nuclear projects are long-term affairs with global impacts; interruptions in collaboration are to everyone’s detriment. This year, Tom chaired a major international panel on nuclear power at Russia’s annual ATOMEXPO Forum in Moscow. In July, he participated in nuclear energy discussions at Expo 2017 in Astana, Kazakhstan. The expo’s theme was “Future Energy” and over 100 countries and 22 international organizations participated. 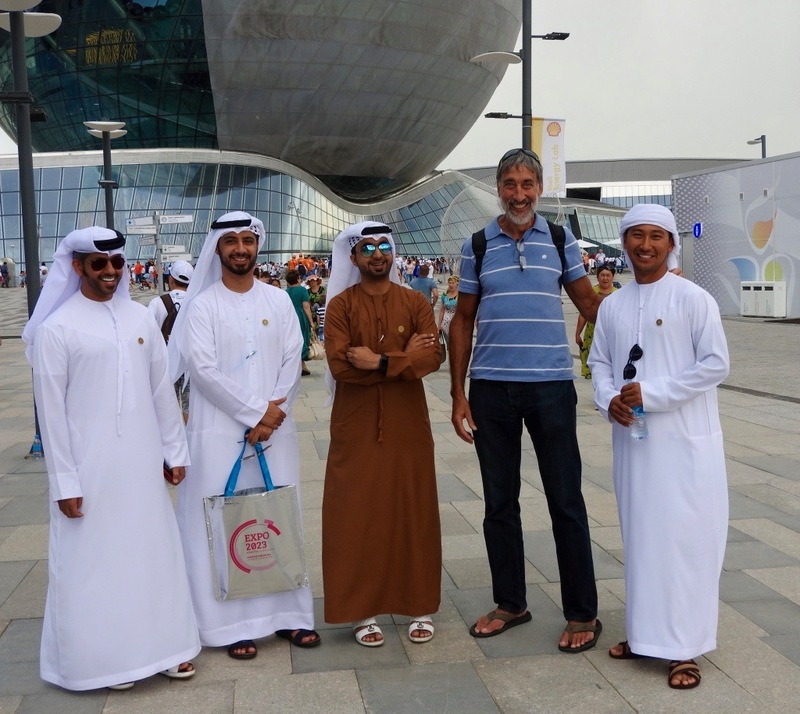 Tom met with representatives from many nations including the head of nuclear power in the United Arab Emirates, where they are about to start up the first of four large South Korean-built reactors. Since its incorporation in 2009, SCGI has actively promoted game-changing technologies that could help alleviate global poverty and climate change. SCGI began by vigorously publicizing a fourth generation nuclear energy system, the Integral Fast Reactor, and its waste recycling system, the Pyroprocessing Plant. At the time, these technologies and their advantages were largely unknown beyond those engaged in nuclear engineering research. It is validating that now there are several new reactor designs that share many of the advantages of the IFR and at least a half-dozen non-governmental organizations promoting the advantages of nuclear energy. The IFR technology has made substantial progress. Some of the people who developed it have formed a company called Advanced Reactor Concepts (ARC) to design and build a 100-megawatt reactor based on the IFR. The Pyroprocessing Plant design project at Argonne—being directed by SCGI’s IFR wizard, Yoon Chang—is about ready to be built. It will be able to recycle what we currently call nuclear waste: spent fuel from the world’s current reactors as well as from future molten salt reactors. The Pyroprocessing Plant will form the critical piece of a future where advanced nuclear power systems can work synergistically around the world. In the last couple of years, SCGI has been quite involved with another nuclear startup called Thorcon. It has designed a system that houses not just molten salt reactor modules but an entire power plant aboard a cargo ship like floating platform that can be manufactured in a shipyard. As a result, the Thorcon design may be the fastest route to mass production. In early November, Argonne National Laboratory chose Thorcon over a variety of other designs as a model to demonstrate ANL’s state-of-the-art reactor simulator software. In addition, the government of Indonesia has chosen Thorcon to supply energy to their country and they are already paving the way to test the first system. SCGI president Tom Blees has been assisting Thorcon in connecting with potential funders for the project, and the latter part of 2017 has seen very encouraging developments in that regard. Since negotiations are in progress, it is not possible to provide further details but once the project gets underway, the first power ship should be ready to fuel and start up in just four years. We will post updates on our website as they become available—stay tuned! We are getting tantalizingly close to a time when abundant, inexpensive, and safe clean energy will be available globally. SCGI is dedicated to hastening that time, and to expediting the spread of associated technologies that will allow global living standards to improve dramatically without negative environmental impacts. Our efforts are global in scope, yet we manage this with a small staff and a very modest budget. If you would like to contribute to this work, any financial support you may be inspired to offer would be greatly appreciated. All donations are tax-deductible. From all of us at SCGI, thank you for your support. We hope you will continue to monitor our progress here and that 2018 will see sustained progress toward a brighter future for all.